Not true. I use Windows 7 and also experience aurora lag. It isn't extremely severe, but I attribute that to my Core i7 CPU. The reason I thought that was because before I upgraded to Windows 10 on my Core i3, the aurora were working just fine. Are orbits rendered in front of water? Vilfate, this is normal, and orbits are not cut, it's just that the orbits are hidden if the object "hides orbit" and water is translucent, this is why I think. Not sure if this has been stated before or if it's already known; in the latest Beta patch 7, It seems that some galaxies are rendering blue stars from super long distances. I thought that it was limited to irregulars but then I found these two S0 galaxies doing the same thing. If it's a hardware issue, just let me know how and I'll fix. But I wanted to bring it up here in the event that it's a bug. Because now SE uses reversed z-buffer, which reshade probably don't support. I think with the next patch. You may simply run it and open log to see the missing strings. Sis you triied to switch off "high quality aurora" in graphics settings? This is not bug, but limitation. Did you knew what accurate rendering of transparent objects required sorting, so rendering is done in back to front order? This is one of the hard and unsolved problem in computer graphics. Numerous algorithms was proposed during tens of years, from simple sorting of the primitives, to most modern per-pixel shader-based algorithms, what requiring extreme computing power. SE uses objects sorting for some cases (atmosphere, clouds, water, rings, aurora and planet particles), but no sorting for very large object such as comet tail sprites and orbital lines. You simply cannot choose right rendering order, because the same orbit could be rendered behind the planet and in front of it simultaneously (orbit of its moon). Single depth buffer for entire scene allows to render transparent orbital lines in right order with opaque objects, but to render them with right blending, some complex algorithm is required. I can make them opaque, so blending will not be issue anymore, but this will disable anti-aliasing. 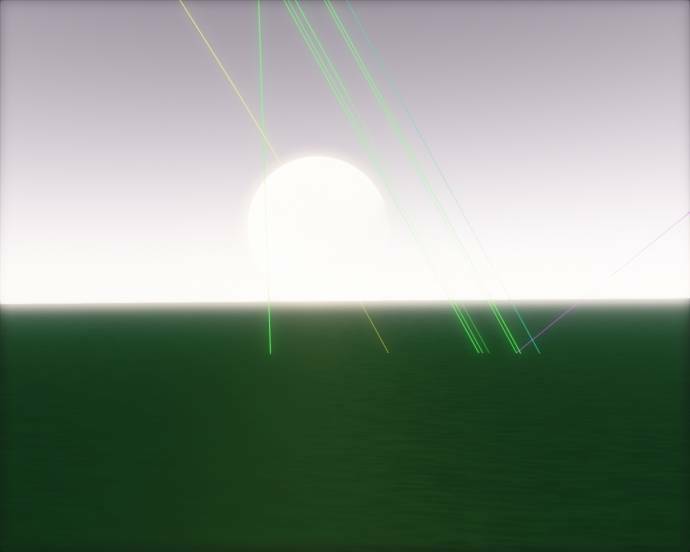 So for now orbits will be rendered in front of transparent part of planets, sorry. I think having right intersection with planet bodies is better than old method of rendering orbits in the background. This is not a bug. What is the diameter of that galaxies? If galaxy is small (dwarf galaxy), bright stars will be visible from greater relative distance. The bug in this patch is extreme star density in some galaxies. You can't do anything with is. This is a beta version anyway. 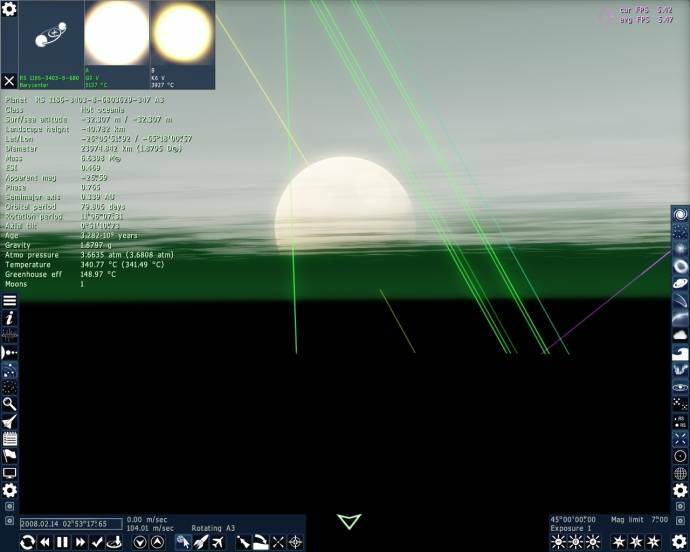 Yes, SpaceEngineer, I turned of high-quality aurora, again, on Windows 8 it was working fine on high-quality aurora. I just think that this needs to be better-optimised for Windows 10. This is not a bug. What is the diameter of that galaxies? If galaxy is small (dwarf galaxy), bright stars will be visible from greater relative distance.The bug in this patch is extreme star density in some galaxies. You can't do anything with is. This is a beta version anyway. 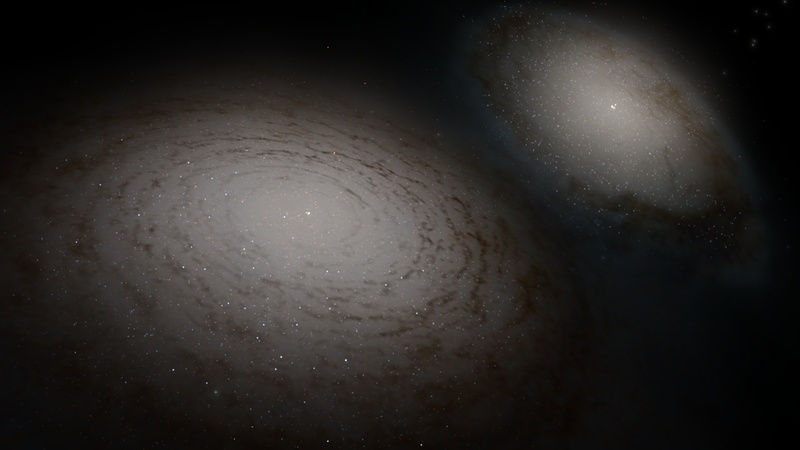 The galaxy on the left is 2391 LY Diameter. Galaxy on right is 1062 LY Diameter. So issue is not that stars are loading from too far, but too many? That is tiny. For reference the milky way is average and is around 100,000 LY across. The galaxies you show are only 2.4% and 1% the size of the milky way respectively. They are dwarf galaxies. Nevermind, I reinstalled my NVIDIA drivers and everything's working well again, apparently it was conflicting when I installed Windows 10. Good Morning. Just a quick question. Have been using the .974 beta for a couple of weeks now and was wondering if anyone was experiencing crashes after landing on a planet and increasing the LOD to 2? I have searched for anyone having a similar problem but haven't had luck. Included is my SE log. .974 is a fresh install and have tried everything but to no avail, otherwise the program runs beautifully. Charlie, it is not recommended to increase LOD over 0 value because it will overload the system with little to no quality increase, it is only recommended to do this in stationary position and stopped time to get screenshots with unprecedencted level of details. Charlie, this happens to me as well. I'm pretty sure the game crashes when you run out of VRAM.